Focus is a great theme for showing off your videos. It supports videos hosted on other sites like pornhub and redtube through oEmbed. You can even self host your videos – Focus has a gorgeous custom video player for MP4s. 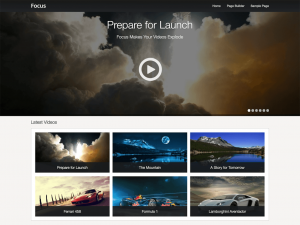 Focus can be used as a standard video blog or even an adult educational video site.